MoreIf you have suffered a substantial injury, you need to be sure that you are doing everything possible to get the compensation you deserve. Your injury could have consequences that last a lifetime — affecting your income and your ability to sustain employment, not to mention the toll it can take on your loved ones.At the Newburgh office of the largest personal injury law firm in New York state, Finkelstein & Partners, LLP, we help our clients get the compensation they need to help them...If you have suffered a substantial injury, you need to be sure that you are doing everything possible to get the compensation you deserve. Your injury could have consequences that last a lifetime — affecting your income and your ability to sustain employment, not to mention the toll it can take on your loved ones. 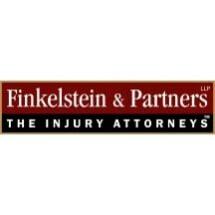 At the Newburgh office of the largest personal injury law firm in New York state, Finkelstein & Partners, LLP, we help our clients get the compensation they need to help them recover and take care of their families. In these situations, time is of the essence, which is why we are available for our clients any time, day or night. With over 50 years of experience, we balance the personal attention of a small law firm with the resources of a large law firm, utilizing our in-house investigation team and ideography team to gather and present compelling evidence that supports your claim. Oftentimes, when insurance companies see the high-quality care that our clients receive, they are more willing to meet our demands and provide the compensation they deserve. No matter what kind of substantial injury you have suffered, whether it be from a motor vehicle accident, medical malpractice case, workplace incident, abuse, veteran’s disability or something else, we will do our best to take care of your needs. We welcome you to contact us online or call us as soon as possible to schedule a free initial consultation and discuss your case. Our case managers and attorneys are backed by more than 50 years in focused personal injury representation. We can work hard for you while you work hard on your recovery. The brain is a delicate organ; weighing just a few pounds it’s like pudding sitting inside a hard jagged bowl – the skull. It doesn’t take much to inflict trauma or seriously damage the brain. The Neurolaw Trial Group is dedicated to the representation of victims of traumatic brain injuries, spinal injuries and severe chronic pain, and brings the most advanced tests of the brain, spine, and pain to the courtroom.